Do you want a brand new career opportunity? GCN is looking for a bright, enthusiastic new member for our exciting commercial team. No experience necessary! News 19 March, 2019 . Written by The GCN Team. We’re recruiting a smart, friendly, dynamic person who is looking to find a perfect start or get back into the workplace. As our Advertising Sales Assistant and Distribution Manager, you will be part of hard-working, fun and friendly office, connecting to businesses and building relationships, showing advertisers why spending with Ireland’s beloved LGBT+ publication is great for their brands. As part of your role, you will manage relationships with our clients, fostering sponsorship opportunities, informing them how best to speak to our readers and selling across all platforms: print, online and event-specific sales. You will also manage GCN’s national distribution, making sure we reach as many readers in Ireland as possible. You will be joining a dynamic team in the heart of Dublin’s city centre. No experience is needed for this role, as extensive training will be given on the job. 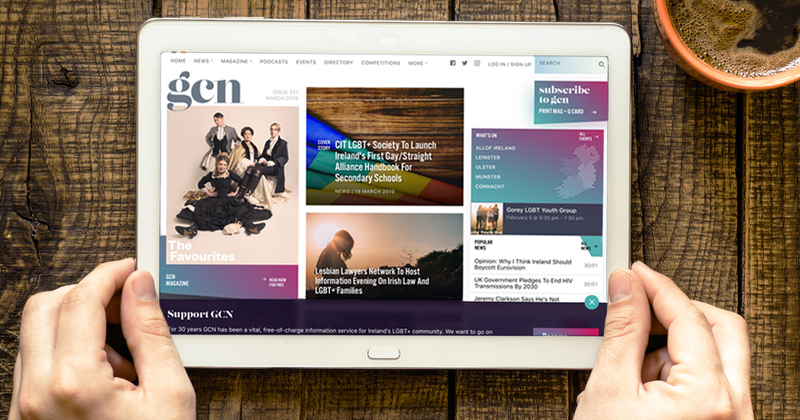 Community: GCN is Ireland’s longest running LGBT+ publication and www.gcn.ie is our ever-growing website which provides up-to-the-minute LGBT+ content. Working with GCN you’ll get to make a difference to tens of thousands of LGBT+ people in Ireland. Location: The successful candidate will get to join our tight-knit crew in our offices located in the heart of Dublin’s city centre – just beside City Hall. Work environment: GCN Towers is a bright and open plan office which facilitates a relaxed work environment and allows each department to collaborate together. Incentives: There are generous bonus incentives for advertising sales, so the sky’s the limit! This is a Community Services Programme position, funded by Pobal. Applicants must be in receipt of Jobseeker’s Benefit (JB), Jobseeker’s Assistance (JA), one parent family payment (OPF) or the Jobseeker Transitional Payment. Please apply to [email protected] with a cover letter and CV. 19 March, 2019 . Written by The GCN Team.